For years Gabriel McPherson and Noah Johnston have served their country. First through their time spent in the Marine Corps and now heading up a special FBI taskforce whose sole purpose it is to find the most debase of criminals and bring them to justice – those who target and harm children. The two men have remained dedicated to their work, often staying away from home for months at a time, just to track and apprehend such predators, so innocents the world over are a little bit safer. Yet neither man could have predicted that while they were away on a case, the only lady who holds their collective hearts in her hand, was at home, fighting off a predator of her own. When Emily Matherson finds yet another plain, brown envelope within her stack of mail, she knows that time has run out for her. For just over two months, one envelope has arrived each week with pictures of her taken and mailed by an unknown, faceless, nameless stalker. She’s involved the authorities and taken precautions to make sure she was as safe as possible, but somehow it hasn’t been enough. Somehow, the stalker still gets through her barriers and finds her – sees her – and there’s just no hiding from the danger any longer. 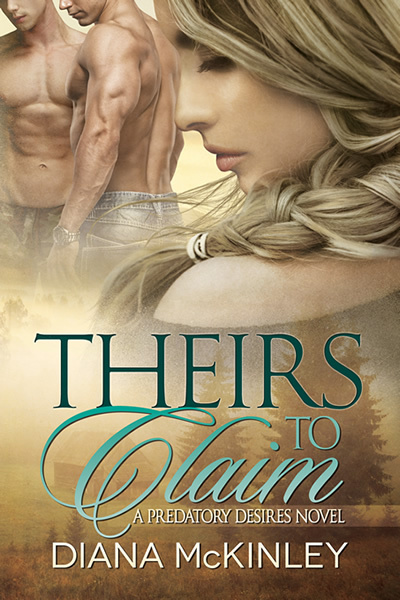 As Emily makes the only choice she thinks she can and flees the small town of Whitford Falls, she has no idea that Gabriel and Noah are headed home hoping to do more than just spend an evening in her company catching up on all they’ve missed with one another. And once the men learn of all the hell she’s been through in their absence, they vow to move heaven and earth to find her. Not only to protect Emily, but to claim her as their own at long last. Though the danger mounts, the three of them will have to chart a path that they’ve never allowed themselves to tread before. But will love and determination be enough to protect Emily, Gabriel, and Noah, from the predator’s own plans? As an investigative journalist, Tara Weston has traveled the country, looking for riveting stories which most people overlook. She’s forged a successful career, but avoided matters of the heart with the same determination. It’s left her protected, yet lonely all the same. Lawton Montgomery and Ethan Nelson deal with predators on a daily basis. They are members of a special FBI taskforce whose sole purpose it is to find the most debase of criminals and bring them to justice – those who target children. Precisely, the kind of predator Tara has unwittingly become entangled with in the pursuit of her newest investigation. Thankfully, the men don’t know the meaning of walking away from an innocent who needs their help. When Lawton and Ethan return to Whitford Falls for their teammates’ wedding, they also intend to let Tara know of their feelings which have grown for her and to offer her more than they ever have with another woman. But as a fledgling relationship looks possible, so too does the danger begin to mount surrounding Tara’s work. It will take lots of bravery, daring, and also love to overcome these challenges, all while nurturing their new foundation. Since meeting photographer Chloe Montgomery, Ross Ackerman has had little interest in any other woman. She’s been on his mind constantly and, given the chance, he would love to build something amazing with her. 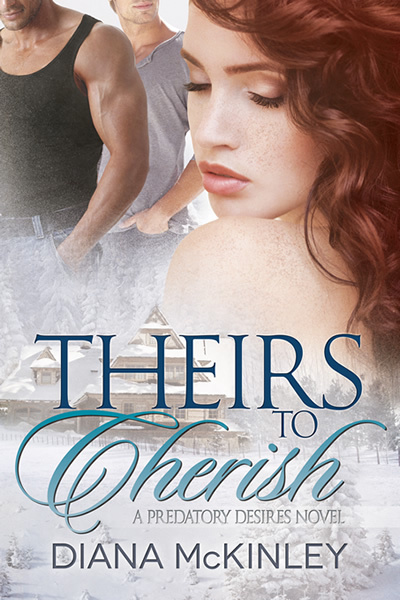 His greatest obstacles are her brother Lawton, his FBI teammate, and the fact that Chloe lives in another state. Still, even those hurdles won’t prevent Ross from pursuing her. Returning from a heart-wrenching mission overseas, Ross rejoins his team and learns that Chloe has been left shaken by a wealthy client. Knowing what he must do, he boards the next flight hoping to get to Chloe before things spiral out of control. Chloe shares what she’s overheard about her client’s misdeeds with her family and quickly gets the news that Lawton is sending Ross to watch over her. Chloe knows Lawton is aware that she’s sworn off men after several failed relationships. Still, if there was one man whom she could choose to guard over her, it would be Ross Ackerman. As the true danger which Chloe has inadvertently linked herself to is revealed, their lives and safety intertwine in powerful and meaningful ways, opening the door to the love Chloe has always dreamed of and the partnership Ross has always hoped to for.